The last week has been a big one for Kanye fans. After sounding off with scattered, 280-character solipsisms on Twitter, the Chicago rapper eventually announced his support for Donald Trump, tweeting a photo of himself in at MAGA hat alongside UMG CEO Lucian Grainge and former head of Def Jam Records Lyor Cohen. Now it feels like a growing cast of artists and collaborators have been forced to publicly reconcile their support for Kanye. Chance the Rapper, a fellow Chicagoan and longtime Kanye collaborator, memorably tweeted that “Black people don’t have to be democrats,” while others like Questlove have publicly denounced the rapper’s support for Trump. Do y’all think #KanyeWest is going to get a break anytime soon? 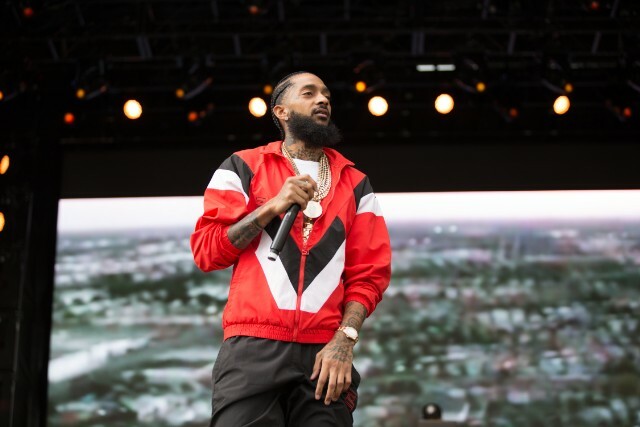 #NipseyHussle performed “F**k Donald Trump” at the #BroccoliFest with Ye pic on several big screens. Thoughts?